It’s late on Friday night, which means we knew something would inevitably surface in the Trump-Russia scandal, because it always does. This time around it’s the sentencing memo from Michael Cohen and his lawyers, in which they spell out why they think he’s been valuable as a cooperating witness, and what kind of sentence they think he should receive – and it’s somewhat revealing. The document is thirty-three pages, so we’ll cut to the chase: Michael Cohen is asking for time served. This would mean that he wouldn’t have to report to prison at all. Considering the seriousness of the nine felonies he’s pleaded guilty to, as well as the other felony charges that were waived as part of his deal, this would be a very lenient sentence. The thing is, the mere act that he’s asking for it reveals something. For a defendant, the goal in a sentencing memo is to ask for something on the lenient end of what might be considered realistic. You don’t want to ask for something absurd, because then the judge might be offended, and might be inclined to not take the request seriously. Considering how closely Michael Cohen has been working with Robert Mueller and other prosecutors – including the events of yesterday – you have to figure that he made this request after running it past them first, and wouldn’t have asked for something that they found offensive, either. 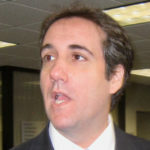 Michael Cohen’s decision to release this document right now, when his sentencing hearing isn’t for nearly two weeks, suggests that he’s trying to capitalize on the public goodwill that he earned yesterday when he helped Robert Mueller expose that Donald Trump was a part of the Trump Tower Moscow conspiracy during the 2016 election. Cohen went a long way yesterday to taking down Donald Trump, as well as bringing Trump’s kids to justice. We’ll see what Robert Mueller comes back with as far as his sentencing recommendation. The judge could then end up realistically going with anything in between what Mueller asks for and what Cohen asks for. But again, it’s revealing that Cohen thinks he’s in a strong enough position to even ask for a free pass. If Mueller comes anywhere close to recommending time served, it’ll mean that Mueller thinks Cohen has been a really big help in Trump’s downfall. You can read the lengthy sentencing memo here.